Do you believe in spirits? I do, and Wendy Redbird Dancing does. Someday soon Minerva Mae, my next gifted, weird, wise girl in progress, will realize that there are more things in heaven and earth than are dreamt of in her facts-only philosophy. 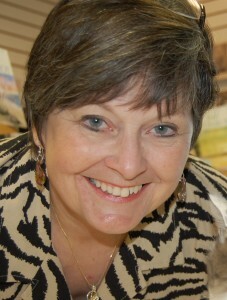 I’m thrilled to have mystery author C. Hope Clark pay a visit to my blog to talk spirits and some of life’s mysteries. Halloween was a candy holiday for me as a child. Few tricks made me jump. I never was one much for haunted houses or graveyard treks, either, except for the time I volunteered to be Frankenstein for the school’s fundraiser, and a scared boy almost broke my hand kicking me. Gooey eyeballs and dismembered hands could be cool. Bubble gum fangs. But it wasn’t until The Exorcist came to the theater did I start thinking: what if spirits do exist? I don’t mean the macabre sort of being that scares people then hacks their heads off. I’m talking about the essence of humans who have died but not moved on. I choose to believe their presence can be true. It makes a sort of sense. That energy has to go somewhere; why not amongst us? We all have our What If stories, where we aren’t sure if something we heard, saw or felt was a ghost. Most of us are too afraid to mention them for fear of being taunted, but in close circles of friends we trust, we bring them up. For instance, the year after my grandmother died, she appeared to me in a dream, led me through the sky to a church on a hill, and pointed to a cross. The message I read was that she now knows that religion is real. I recall my mother turning pale when I described the experience. Fast forward to my adulthood. I built my current home on the site of a small, hand-built house we had torn down. The owners, Mr. and Mrs. Christmus, died in their eighties. He loved the place, having done most of the building. It faced the lake, and even when he couldn’t walk much, he rode a riding lawnmower to check out his garden and get the mail. He died there. She left a year later to an assisted living facility and died shortly thereafter. Before we tore down the house, I spent many days in it trying to envision how this family lived, wondering how I could respect their memories. I could sense them unlike anything I’d ever felt before. Picking through the personal items, I saved doilies, a Depression glass platter, a butterbean bowl, a velvet rocking chair, and several other mementos that seemed too precious to dispose of. That was nine years ago. Almost every night now when I’m in my recliner, watching my token mystery show, I smell cigarette smoke between ten and eleven P.M. Some evenings it can make me cough. Keep in mind that nobody has ever smoked in my home. However, Mr. Christmus smoked. I often wonder if he’s making himself at home, and if he approves of his new digs. If he ever appeared, I don’t know what I’d do. Thus far, he honors my wishes of keeping things aromatic. Some late night evenings, my dachshunds walk to the doorway and look into the next room, toward where we used to keep a dog bed that belonged to two other dogs that are passed on. Those two older dogs were precious to us, and I often wonder if they stroll around enjoying their old lives as my current puppies study those that occupied this home before them. My husband used to jest. It’s happened enough now that he no longer laughs. Sometimes he smells the cigarette smoke, too. I run all my experiences by a close friend of mine on Edisto Beach who is visited by spirits on auspicious days like birth and death days. She can name which relative appears on which day. Her jewelry gets moved, water comes on, lights flip off, the usual. Occasionally a waft of cologne blows across the air. A tissue flutters when there is no air. I used to chuckle at her stories. Today I grab a drink and listen. I no longer discount the presence of spirits. While I have no proof they are there, I also have no proof they aren’t. To me, there’s something comforting about the idea we will be able to see people left behind once we pass on to the next life. I’m a Southern author, and a couple of my books hint about haunts, or haints as they’re called in many places in the South. That’s what my grandfather called them. 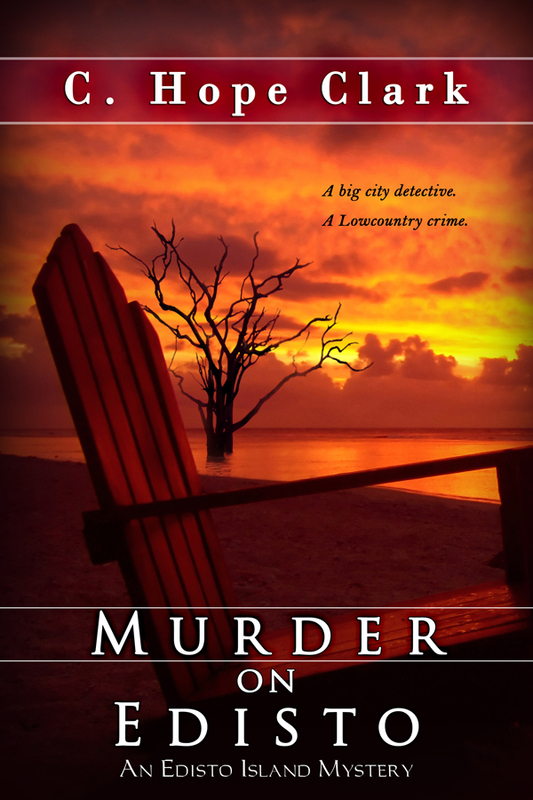 Ain’t with an H.
In my first mystery series, Tidewater Murder incorporated the Gullah culture that exists on St. Helena Island, South Carolina. They practice a voodoo of sorts, deeply entrenched in the actions of spirits. In addition to hexes and conjure bags, my protagonist also talks about the ghost of an old man who used to live in the house torn down near a lake. Imagine that. 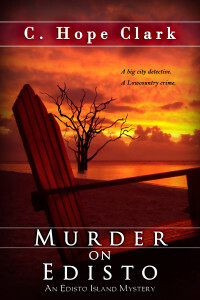 In my second mystery series, Murder on Edisto takes place on gorgeous, secluded Edisto Island. A secondary character I created happens to look like my friend who happens to sage her home to rid it of bad spirits, and she takes time to entertain the good. For future Edisto books, I’m researching the abundance of ghost stories in the region. The island owns a wealth of tales to include a love lost in a stormy sea, a bride murdered on her wedding day, and a child buried alive in a mausoleum. My spirit-loving character will have a chance to move front and center in those tales, and we’ll see just how much the spirits really love her. I can’t wait. No, I’m not a fan of Halloween and all its silliness. Dracula, werewolves, zombies, they’re not real. But when it comes to spirits of people who’ve once been on this earth, people who had a story and seem to still want to relive it, I sit up and take notice. They receive a nod from me, and maybe a place in my next book. Hopefully that will give them something to take back to Spirit Central, on the days they aren’t kicking up their heels on Earth. Hope Clark still smells cigarettes at night and gives her spirit his distance. 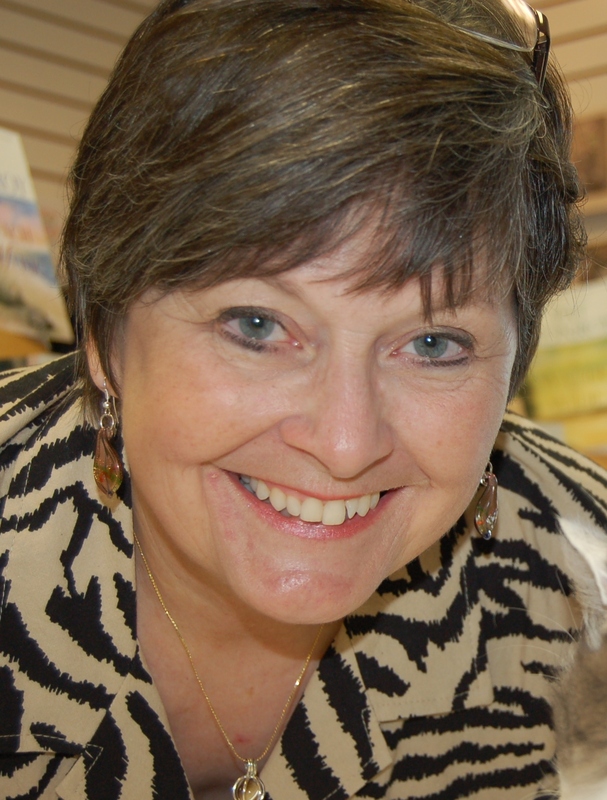 She’s written the award-winning Carolina Slade Mysteries and the newly-released Murder on Edisto, the first in The Edisto Island Mysteries. She lives on the banks of Lake Murray most of the time, with frequent trips to Edisto Beach. Learn more at www.chopeclark.com. Thanks for having me, Lyn. Confession is good for the spirit – pun intended. Indeed! As a girl raised Catholic, I am a big fan of uttering one’s thoughts in both private and public…good for the soul and the spirits approve, too! Thanks for the visit! I too know that the spirits of those passed visit their favorite places. I feel their energy around me often. On my front walk is one square of concrete that is the last to show even a drop of rain in a storm, as if someone stands there, sheltering the surface from the moisture. My best friend often saw the departed, and she sensed the presence as a male with some infirmity. One of these days I’m going to make an effort to find out who it might be. Now that best friend’s gone, she visits me in my dreams. Suzanne, thanks for stopping by. I think if we stop, breathe, and listen, we become open to the energy that’s everywhere. That is absolutely fascinating, that square of concrete sheltered from rain! I have some dear friends who channel spirit and connect with those who need to move into the light. They wrote a book, Spirit Journeys, that tells the various experiences they’ve had helping spirits move on.